Vietnamese Party General Secretary Nong Duc Manh on July 10 met with Russian Deputy Prime Minister Alexander Zhukov, Moscow Mayor Yury Mikhaylovich Luzhkov, and Chairman of the Communist Party of the Russian Federation Gennady Zyuganov. During his meeting with Zhukov, Manh said Vietnam always follows the huge achievements Russia has reaped recently and believed that under the leadership of President Dmitry Medvedev and the Federal Government headed by Prime Minister Vladimir Putin, the Russian people will achieve greater successes in national development. 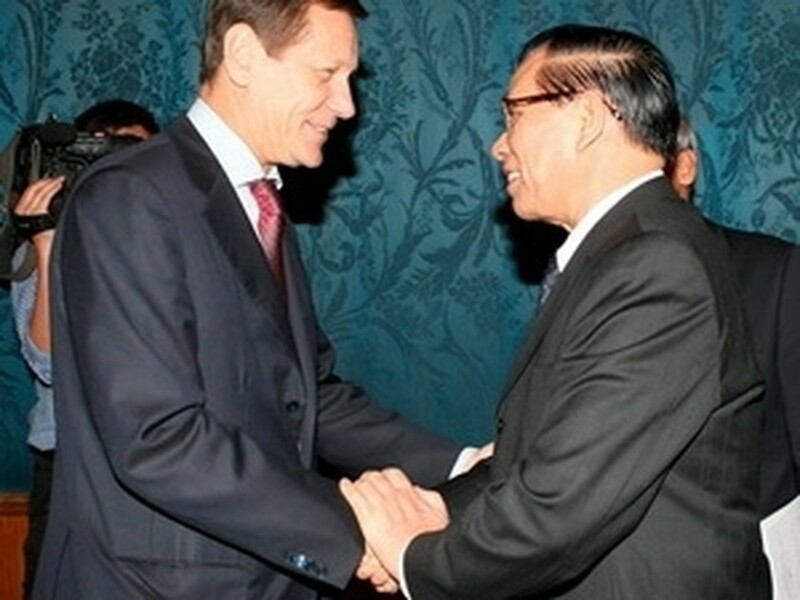 Zhukov spoke highly of Vietnam’s renewal process as well as its positive stance in dealing with regional and international issues. He also affirmed Russia’s consistent policy to treasure and to promote the traditional relations and comprehensive partnership with Vietnam. Both Manh and Zhukov said the Vietnamese leader’s ongoing visit is a good opportunity for the two countries to review bilateral cooperation for almost 10 years since they established the strategic partnership, and to discuss major directions to boost comprehensive cooperation, especially in economy, trade and investment. The two sides applauded agreements signed between the two governments in late 2009, particularly those on oil and gas, energy and military technology, considering them as breakthroughs in the bilateral cooperative ties. They agreed to enhance the coordination role of the Vietnam-Russia Inter-governmental Committee on Economic, Commercial and, Scientific and Technological Cooperation, and accelerate the implementation of the signed pacts. The officials also agreed to speed up negotiations to sign inter-governmental agreements on the construction of Vietnam’s first nuclear power plant and the provision of credits for the project, and on energy development. The two sides promised to strengthen cooperation at regional and international forums such as the East Asia Summit (EAS), the ASEAN Regional Forum (ARF), the Asia-Pacific Economic Cooperation (APEC) and the United Nations, especially within the ASEAN-Russia framework when Vietnam holds the ASEAN chairmanship in 2010. Both Manh and Zhukov expressed belief that the major directions and measures put forth during the current visit will lay an important foundation to scale up and improve the efficiency of multifaceted cooperation between the two nations. On the same day, Party General Secretary Nong Duc Manh met with Moscow Mayor Yury Mikhaylovich Luzhkov, who affirmed that Vietnam is Moscow’s top priority compared to other foreign partners, not only in economics but also in politics. Moscow is willing to be a good partner of Vietnam and ready to share the latter’s difficulties, he said. Mayor Luzhkov introduced his guest about the city’s political, economic and financial advantages as well as its achievements over the past years. He expressed wish for Moscow to boost cooperation with Vietnam’s big cities in economics, trade and tourism as well as in building metro routes. At present, Moscow and Vietnam’s Hanoi and Ho Chi Minh City are speeding up cooperation in investment, trade and construction. A Vietnamese trade centre has been built in Moscow while Russian multi-functional centres are expected to open in Hanoi and Ho Chi Minh City. For his part, the Vietnamese Party leader spoke highly of the gigantic development of Moscow with many new architectural and traffic works that make the city more civilized and modern. He stressed that since the two countries set up diplomatic ties 60 years ago, the Russian Federation in general and Moscow in particular has always stood side by side with the Vietnamese people during the wars as well as the current national development process. Moscow has assisted Vietnam in training officials and experts, who have made great contributions to the development of the country and are currently holding important positions in all sectors, he said. Vietnam will never forget that assistance and would constantly consolidate and develop the traditional friendship, comprehensive cooperation and strategic partnership between the two nations, the Party leader stressed. Later the same day, General Secretary Manh hosted a reception for a delegation of the Communist Party of the Russian Federation (KPRF) led by Chairman G. Zyuganov. Manh congratulated Chairman Zyuganov and his delegation on the achievements that the KPRF has attained so far to overcome challenges and sustain its position as a significant political force in Russia. He expressed his belief that with a sensible leadership and high unanimity, the KPRF will continue to strengthen its firm position in the socio-political life in Russia as well as in the international communist and workers’ movements. The KPRF leader meanwhile praised great achievements of historical significance that Vietnam has made over the past 25 years of renewal under the leadership of the Communist Party of Vietnam (CPV). Those achievements demonstrate the vitality of communism, he said, adding that they are valuable contributions, theoretical and practical alike, of the CPV to the international communist and workers’ movements and the great inspiration to the KPRF and other advanced revolutionary forces in the world. Chairman Zyuganov confirmed the KPRF’s support for all initiatives of the President and the government of Russia in strengthening the traditional friendship and strategic partnership with Vietnam. 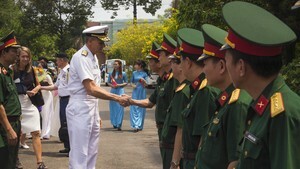 The KPRF will further actively promote the effectiveness and sustainability of the Russia-Vietnam cooperation, he said.